Third edition of my book ‘Java EE 8 Development with Eclipse‘ is now published. Chapter 12, Microservices, describes how to develop and deploy microservices. It also covers the deployment of microservices in Docker container. Chapter 13, Deploying JEE Applications in the Cloud, describes how to deploy JEE applications in Amazon and Google Cloud platforms. Specifically, it describes the deployment of applications in AWS EC2, Beanstalk, Google Compute Engine, and Google App Engine. It also describes Eclipse tools that can be used for deployment to the Cloud. Chapter 14, Securing JEE Applications, describes how to secure JEE applications using authentication and authorization features of JEE containers. It also covers some of the JEE 8 security enhancements. 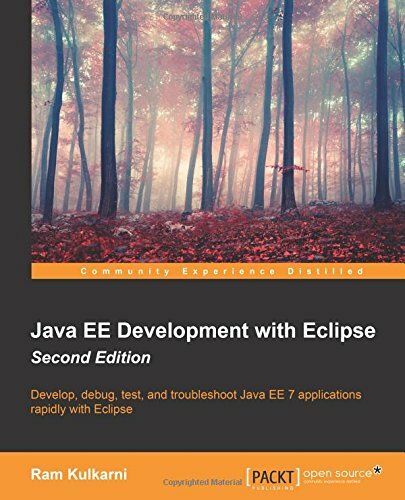 My second book “Java EE Development with Eclipse – Second Edition” has been published. One of the reasons I did not post much on the blog was this book. I had been working on the book for the past few months and I am very glad that it has been published now. One of the challenges writing this book was the diverse topics that it covered – Servlets, JSP, JSF, JDO, EJB, JSM, SOAP, REST, Spring, Unit Testing, Debugging and trouble shooting performance and memory issues in Java applications. Separate books could be written, and books have been written, on some of these topics. 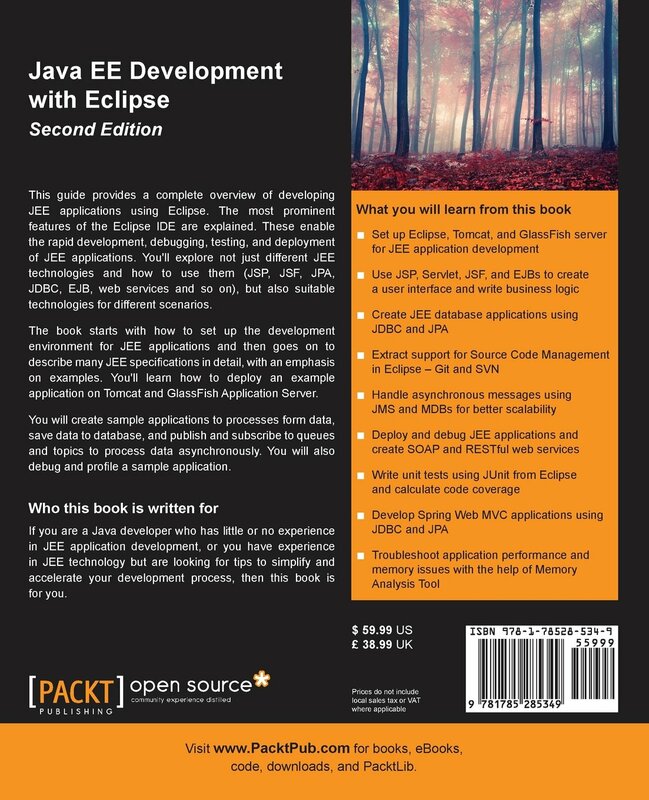 This book explains how to develop applications using these technology in Eclipse IDE. The focus is not just on how to use different technologies in JEE, but also on setting up development environment, testing, debugging and deploying applications developed using these technologies. The book is available on the publisher’s site at bit.ly/1GryrTd.